Would you like to jump into a hot air balloon? Yeah :) Who would love an exciting, amazing balloon ride? Have you ever done it? This is still on my ‘to do’ list, but this weekend I had at least a chance to admire gorgeous hot air balloons at the Hot Air Balloon Festival in Gatineau, one of the most important hot air balloon gathering in Canada, and the fifth largest in the world. 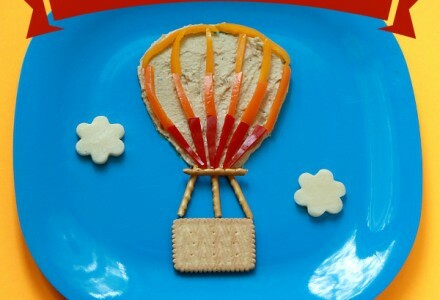 This is why we end up making a yummy balloon snack!